I’ve been spending the last few weeks nesting and getting our home ready for our little one, who will arrive any day now. We are super excited, despite not knowing the gender! I wanted to create a soothing space for the baby, with subtle pops of bright color, so we settled on a soft gray wall color with pops of yellow for the room. I stumbled upon these cute art prints on Etsy some time ago, which led me to think of Sunshine as inspiration for the room. We’ve been spending a lot of time putting together furniture and getting shelves up in the room, and it’s almost ready for the baby. 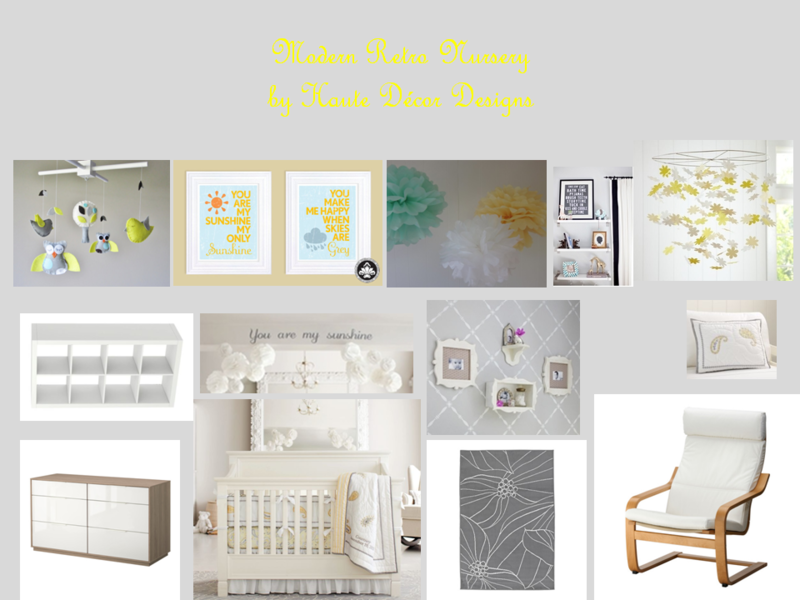 I’m looking forward to sharing photos of the finished room soon, but for now I hope you enjoy this inspiration board which is somewhat of a sneak peek. Love the colors…can’t wait to see the pic of the room and little one! Good luck with everything! Talk to you soon.